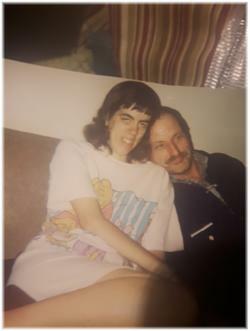 Janiene Elizabeth "Jan" Miner – 51, of Wilmot, Annapolis County, passed away Thursday, March 21, 2019 in the Valley Regional Hospital, Kentville. Born in Wolfville, she was a daughter of Starr L. (Joyce Rose) Miner, Grand Pré and the late Heather Jordan-Vasileski. Jan loved to read. In her younger years, she enjoyed playing board games with her brother, Craig. She also had a love of animals. In addition to her father, she is survived by her partner, LeRoy Williams and his daughter, Alice, Wilmot; uncle, Richard "Rick" Jordan, England; special friend, Brenda; extended family and friends. In addition to her mother, she was predeceased by her brother, Craig Miner. Cremation has taken place. There will be no visitation or funeral service, by request. Donations in memory may be made to the Valley Hospice Foundation. The family would like to express their thanks to the doctors and nurses in the ICU at the Valley Regional Hospital, Kentville and to the VON, Annapolis County for their care, kindness and compassion. Funeral arrangements have been entrusted to the White Family Funeral Home and Cremation Services, Kentville, Nova Scotia.